Members of a labor organization who are on a hunger strike to protest against proposed changes to the Labor Standards Act yesterday hold a news conference outside the Legislative Yuan in Taipei. Workers’ rights advocates yesterday began nightly “patrols” around the Legislative Yuan in Taipei and launched a hunger strike to protest against proposed cuts to national holidays. “Reject holiday cuts,” shouted about 20 protesters affiliated with the Workers’ Struggle Alliance as they circled the streets around the barricaded legislative compound surrounded by newly erected sets of sidewalk barriers alongside its boundary walls. A line of police officers snaked through the barriers to follow the protesters as they circled the compound. The protesters walked slowly, stopping briefly outside one of the compound’s gates, directly facing rows of police officers for several minutes before resuming their course. “We can charge when there are fewer police officers,” said Wang Chuan-ping (王娟萍), deputy chairwoman of the Labor Party. Seven fasting protesters who had camped out in front of the Legislative Yuan gates led the march. Earlier in the day, they donned headbands to symbolize the beginning of their fast, using candles to set alight a flag emblazoned with a symbol connected with President Tsai Ing-wen’s (蔡英文) electoral slogan to “light up Taiwan,” accusing the Democratic Progressive Party (DPP) of betraying its progressive ideals. “Every time changes to the Labor Standards Act (勞動基準法) are proposed, we get our hopes up, but revisions just served to make it more rotten every time,” Taipei City Confederation of Trade Unions chairwoman Cheng Ya-hui (鄭雅慧) said, adding that legal loopholes would keep many workers from working fewer hours even as they lose the national holidays. The legislature is expected to amend the act following the expiration of a waiting period imposed by cross-caucus negotiations. The amendments, if passed, would scrap seven national holidays as part of broader reforms aimed at reducing work hours. 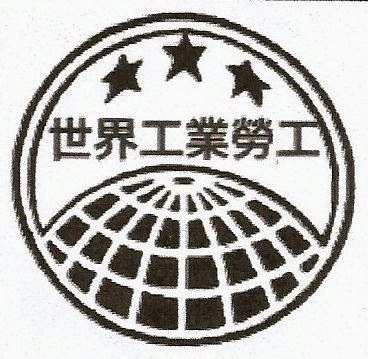 Taiwan Higher Education Union organization department director Lin Po-yi (林柏儀) called for the amendments to be returned to the legislature’s Social Welfare and Environmental Hygiene Committee, and criticized a statement by DPP caucus whip Ker Chien-ming (柯建銘), in which he promised to hold legislative hearings on the amendments before a final vote. Hearings should include labor representatives, Alliance member Kuo Kuan-chun (郭冠均) said. The committee sent the amendments directly to cross-caucus negotiations. The protesters pledged to continue the hunger strike and the daily patrol, as well as holding rallies every other day until the amendments are returned to the committee.